demands of workgroups of 5-15 users. Set a new performance standard and achieve increased productivity within the workgroup. to 43 ppm with the HP LaserJet 4300 series. 64 MB RAM on 4300 series (extended to 80 MB on n/tn/dtn/dtnsl). • No warm-up time with the instant-on fuser and a first page out in under 8.5 seconds. • No performance compromise with high quality output of 1200 dpi at full speed. • Simplify workflow with document management features like proof and hold, private printing and quick copy. More versatile solutions you can tailor to your workgroup’s document creation and management needs. • Share fast, reliable printing and best-in-class security with an HP Jetdirect EIO print server*. 1500-sheet tray; be more productive with duplex, envelope feeder, stacker and stapler/stacker accessories. Simple to use, easy to manage, the intelligent solution to a workgroup’s complex printing demands. • Effortless management with HP Web Jetadmin allows easy network installation, remote diagnostics and error correction. remotely configure device settings and e-mail alerts. 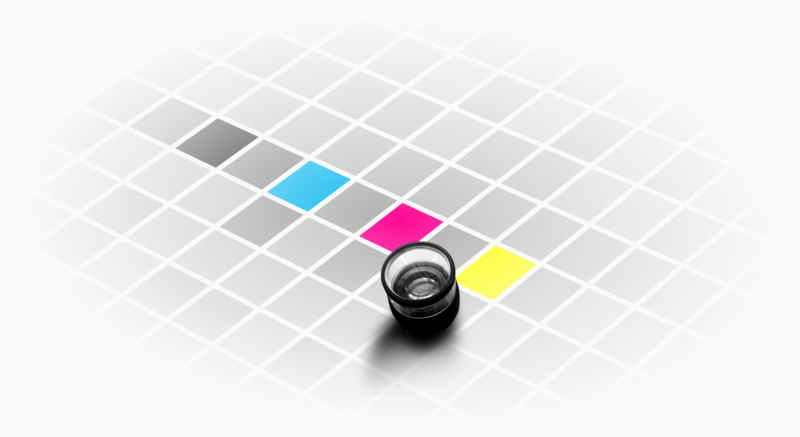 • Monitor levels of consumables with HP’s smart print supplies system. • Superior output quality and consistent results with a ‘no shake’ high capacity smart print cartridge (18,000 pages). the hallmark of every HP LaserJet monochrome printer. HP LaserJet 4300 series both deliver unrivalled performance. HP LaserJet printer you choose. low noise level, so you won’t get disturbed by your printer. developed by our global network of HP JetCAPs partners. the hardcopy solution you require. Print speed HP LaserJet 4200 series: up to 33 ppm (28 ppm on Ln). HP LaserJet 4300 series: up to 43 ppm. First page out: Less than 8.5 secs (10 secs on the HP LaserJet 4200Ln model). Instant-on fuser technology for no warm-up time – from warm or cold start. Processor speed HP LaserJet 4200 series: 300 MHz; HP LaserJet 4300 series: 350 MHz. Memory HP LaserJet 4200 printer*: 48 MB. HP LaserJet 4200Ln printer**: 48 MB. HP LaserJet 4200n/tn/dtn/dtnsl printer*: 64 MB. HP LaserJet 4300 printer*: 64 MB. HP laserJet 4300n/tn/dtn/dtnsl printer*: 80 MB. *Expandable to 416 MB through three industry-standard DIMM slots. **Expandable to 288 MB through three industry-standard DIMM slots. Print resolution 1200 x 1200 dpi, HP Fastres; 1200 x 1200 dpi, HP Prores. Printer languages HP PCL 6, HP PCL 5e, and HP Postscript 3 emulation, HP-GL/2, automatic language switching. electricity), duplex and N-up printing (saves paper). Duty cycle (pages per month) HP LaserJet 4200 series: Up to 150,000 (up to 125,000 on the Ln model); HP LaserJet 4300 series: Up to 200,000.
special media, 76 x 127 mm to legal size. 4) 2 x 500-sheet trays. 1 x 500-sheet trays); tn/dtn/dtnsl model: 1,100 sheets standard (1 x 100 multipurpose tray, 2 x 500-sheet trays). Paper handling/output Base/n/tn/dtn model: 300 sheets (250 sheets face down, 50 face-up). dtnsl model: 800 (250 sheets face down, 50 face up, up to 500-sheet stapler/stacker). Duplex printing Two sided printing capability: dtn/dtnsl model (standard). Media types Paper (plain, letterhead, prepunched, bond, colour, preprinted, recycled), transparencies, labels, envelopes, card stock, user-defined. interface port, HP Jetdirect 10/100Base-TX print server card, 1 open EIO slot. Linux; HP-UX; LocalTalk via HP Jetdirect EIO print servers. Jetadmin software, for simple installation, configuration and management from a common web browser). graphical display with help features. Messages can be displayed in 20 languages. Power consumption 685 watts maximum (printing), 27 watts maximum (standby mode), 25 watts maximum (powersave). dtnsl model: 412 x 520 x 740 mm. Weight Base/n/Ln model: 20 kg; tn model: 27 kg; dtn model: 30 kg; dtnsl model: 34 kg. Printer management HP Web Jetadmin, HP LaserJet Utility, HP Embedded Web Server. Operating environment Recommended operating humidity: 20 to 80% RH non-condensing; recommended operating temperature: 10 to 32°C. (printing), HP LaserJet 4300 series: 56 dB(A) (printing), HP LaserJet 4200/4300 series: 27 dB(A) (powersave). Warranty Standard 1 year limited warranty, return to HP/vendor, optional HP Care Pack services available. †Depending on media type and weight.